Israel's SpaceIL , the first private sector to challenge the moon landing mission, has revealed that the moon landing on the lunar probe ' Baresheet lander ' launched in February on April 11, 2019 has failed due to a machine problem. did. 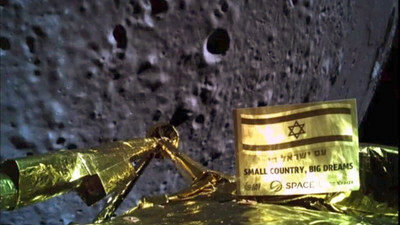 The Beresheet lander seems to have collided with the moon as it is, but the photo taken just before that was published by the project staff. Here is the last photo by Beresheet lander, published by SpaceIL member Elad Ratson . The lens flare from the dark space and the incident light from the sun, and the crater on the moon surface are clearly shown. Israel's SpaceIL is a private space organization established in 2011. 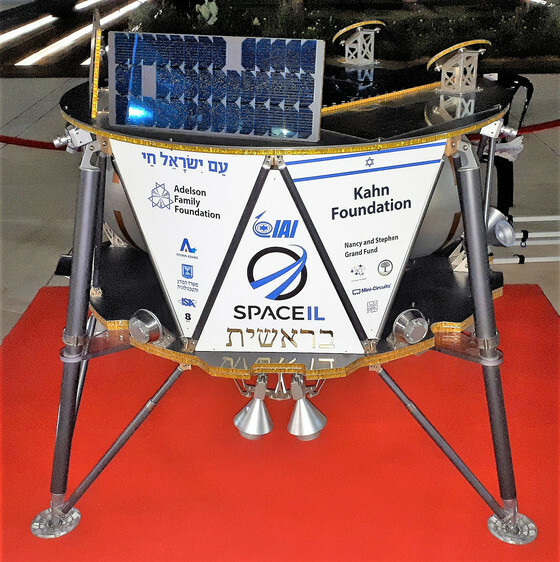 Beresheet lander was a project launched for Google Unsponsored Lunar Exploration Contest ' Google Lunar X Prize ' sponsored by Google, but the deadline for the contest was March 31, 2018, 2019 It was launched by the SpaceX Falcon 9 rocket in February. Furthermore, 'Beresheet' is a Hebrew that means 'Genesis', the first book of the Old Testament. The following video is a promotion movie of the moon landing project by SpaceIL. The image below shows the Beresheet lander. It is 2m in diameter, 1.5m in height and 150kg in weight, and the cost of the project is said to be about $ 100 million. If the Beresheet lander's mission is successful, Israel will make its fourth landing on the moon followed by the US, USSR, and China, and it will be called the first landing on the moon as a private project that does not involve the landing state of the land. It was going to be a good performance. Although Beresheet lander entered the orbit to the moon landing safely, communication is interrupted at an altitude of about 149 m from the moon due to the subsequent engine trouble. It is thought that it crashed on the moon as it is. The landing experiment is broadcast live on YouTube, and you can see the recording from the following. You can see the moment when the communication from the survey ship is suddenly cut off after sending the last image from around 35 minutes and 14 seconds of the following movie. According to Ratson, the last photo of Beresheet lander, obtained from Israel Aerospace Industries (Israel Aerospace Industries), was sent at an altitude of approximately 7500m. In addition, the SpaceIL team is 'golden' with a comment that 'Please keep in mind. We were unfortunately not successful in the landing process even though it was a little more. We will make further improvements for the future.' Two shots of the Israeli flag and the moon were released. More updates to follow. #SpaceIL #Beresheet pic.twitter.com/QnLAwEdKRv Don't stop believing! We came close but unfortunately didn't succeed with the landing process. A piece of artificial satellite taken far away from the earth "one with a good understanding of the distance between the earth and the moon"
How do you train for busy people?